Coming off of this past weekend’s wins, men’s and women’s track hope to perform a repeat. This year, the team has a particular interest in winning, as UAAs will be hosted at home in the Henry Crown Field House. “Well, technically given what our coach has assembled for points that are expected to be gained from each event, the girls are expected to win, as well as the men, but that’s hard to predict because it’s hard to know if athletes are definitely going to compete in all the events that they are expected to get points in,” said fourth-year thrower Kelly Wood. The women’s team hopes to follow through with their predictions and once again take home first, as they did at last year’s championships. The men, on the other hand, hope to improve their performance from last year’s 6th place finish. “As always though, teams are always PRing… but hopefully this meet that’ll be ours,” Wood said. Wood, who earned a personal record of her own this past weekend hopes to continue to improve her performance and place higher than her pre-meet ranking would predict. As far as the throwers, fourth-year Reecie Dern, who is currently second in the conference rankings in shot put herself, expects that Nkemdilim Nwaokolo stands to be one of the overall winners as she’s ranked first in both shot put and weight throw. Other standouts on the women’s side include first-year Ade Ayoola in the high jump and shot put, third-year Nelson Trotter in the high jump, third-year Brianna Hickey in the mile, third-year Maya Lewinsohn in the 5000m, third-year Catherine Young in the 3000m, and second-year Michelle Dobbs in the 400m and 800m. On the men’s side, third-year Benjamin Clark in the 200m, second-year Gareth Jones in the 5000m, second-year Nicholas Nielsen in the mile, third-year Michael Frasco in the 3000m, and first-year Patrick LeFevre in the 60H are all ranked in the first two slots in their respective events. However, the team is not completely happy that they will be forced to compete at home for the second meet in a row. “I think it’ll be nice to be home because it’ll be at our track and we won’t have to deal with the stress of travel but it’s hard because we’re still on campus with all the distractions we normally have,” Wood said. 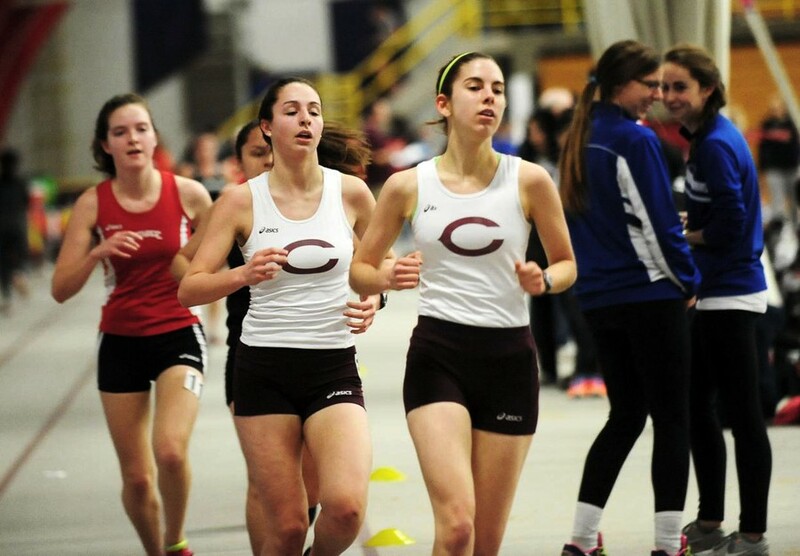 The UAA Indoor Championships are scheduled to begin on Saturday at 12 p.m.